This post is written by Josh Geist from the group Olaf Lesniak (owner of this website) created called Watchmen. We wanna point out the silly SJW writing in these comics that we think is hurting the way people view comics. Disclaimer! Before I jump into this, I want everyone to know that this is my opinion, you do not have to agree, but please respect my opinion as I will yours. Let’s jump right in to the issue. 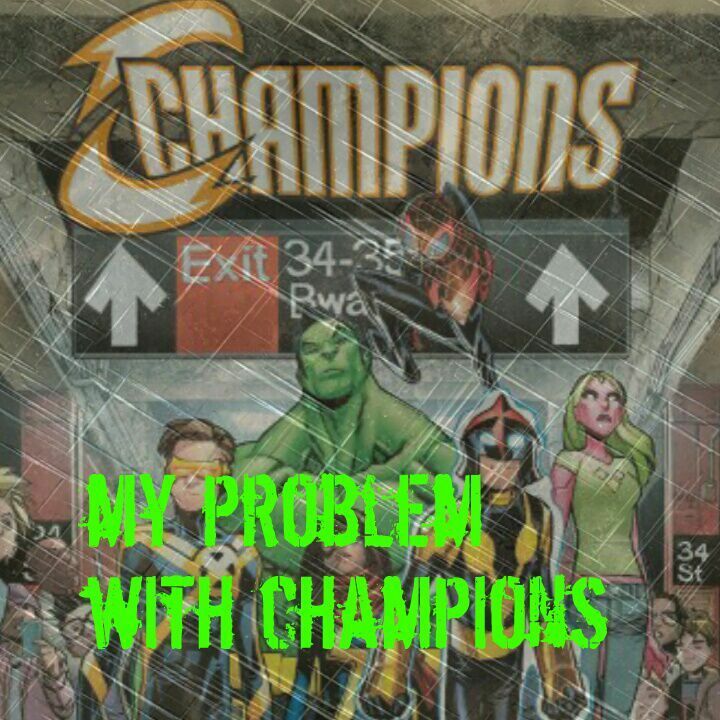 The Champions, a group of young heroes taking on social and non world ending threats. 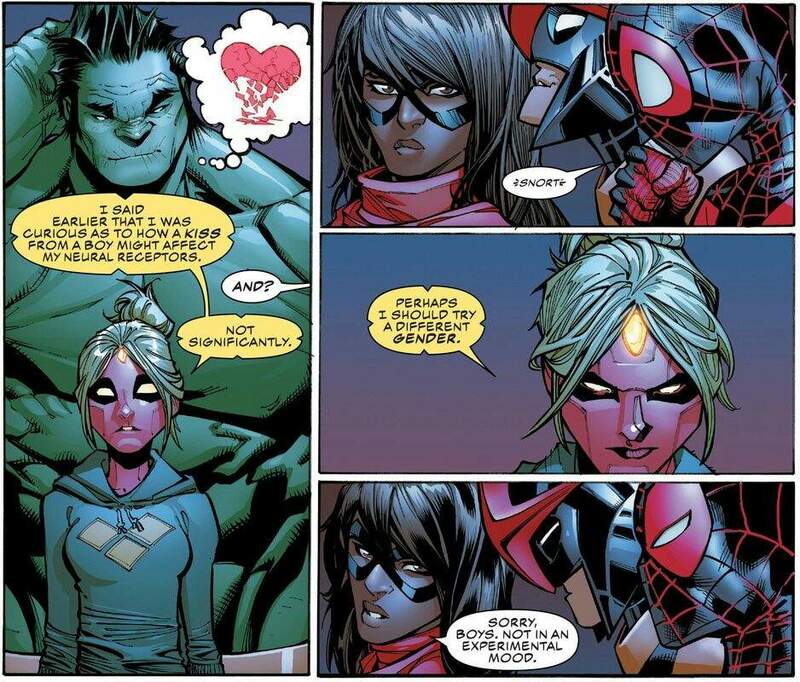 The team consists of a wide array of legacy characters such as Amadaus Cho, Miles Morales, Ms marvel, Viv, Nova, and Cyclops. While not a big fan of legacy characters usually, I actually liked them. And the thought of them all on the team together was great. Honestly a great concept. 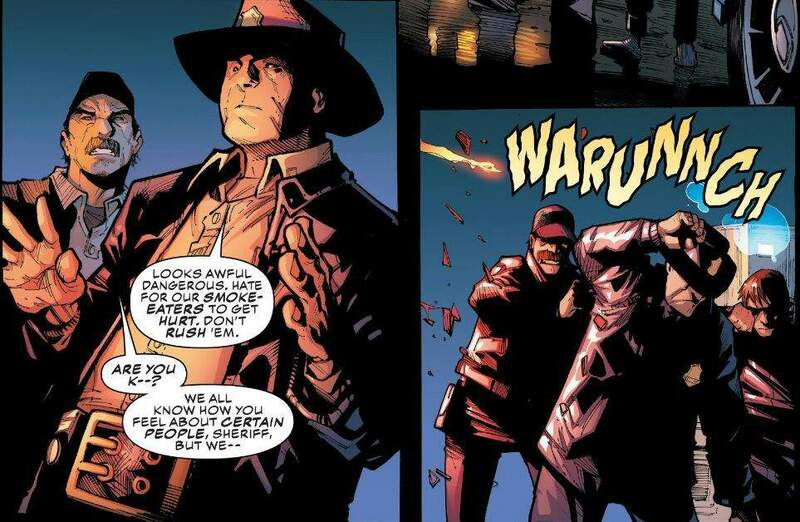 And similar to Sam Wilson, it’s a great idea, but it’s poor in execution of that idea.The team is full of potential. Each individual member is a pretty interesting and likable character. When I saw the lineup, I was disappointed because the legacy characters. But as I learned to accept it, I found out that the characters and team dynamic were actually pretty good. But I have a few major problems with the series. Anti Discriminatory themes are discriminating. When the Champions go to stop the fire in the mosque, they make a point to highlight that the cops are allowing and even participating in this evil act. And that the police are participating in other hate crimes. While there have been a few police officers that actually have done things like that, it makes a generalization of police. 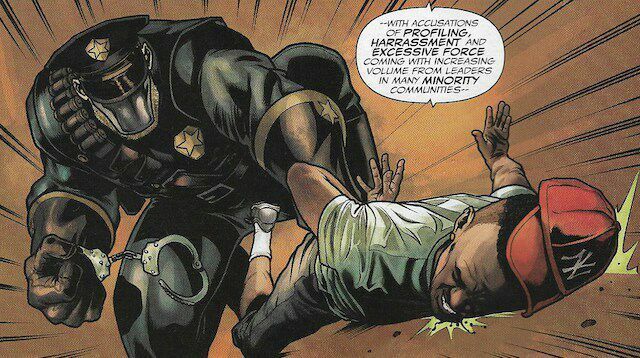 Similar to the Americops from Sam Wilson, they make police to be racist, hateful, and downright evil. When if you actually know any police, chances are you know that they’re normal people just like you and me, and they are just as capable of being good or bad as we are. If not, think of how Trump and many other people, will generalize Muslims as terrorists. Well, Champions is doing that to other social groups. Like police, businesses, and politicians. Another part of the problem is that the series is just cringey. Like I can’t go through really any of the stories, without seeing a blatant reference to politics or social issues. I am a believer that we should explore those issues in comics, as we always have. But recently, it’s been less exploring, and more just shove a one sided message down your throat. I honestly wouldn’t mind any of this so much, if it was actually a good series. Here’s a list of things other than the SJW issues. The art is mediocre at best. It seems like the art has just become too cartoonish for my taste. It’s right in between real and cartoon and it’s just poor looking. And even then it just looks sloppy. I hated her, she was just an annoying character that made me want to stop reading. I hated the character before Champions as well. The series is reaching out to youth, but many messages go right over their head. The comics feel half baked and incomplete. I never finish a comic and feel like I read something worthwhile. Maybe that’s just because I’m used to reading older comics that had much more content, but maybe that’s just this comic. I understand that this series is very young, but it’s old enough to be judged. I am quite disappointed in this series’ effort to entertain and persuade. It just feels poorly written and overall just lame. The political agenda is persistent and annoying when it’s heavily one sided and can be easily taken out of context. Overall this series is a part of why I don’t like Marvel currently. They’re too concerned with making political and social messages, that they forget to make a good comic. That’s all I got to say for now. Peace out! Next Is MCU Helping Guardians of the Galaxy? I, for one, am really enjoying Champions but your point about the representation of police hadn’t occurred to me and now, having read it, I do agree that it doesn’t really do the majority of police officers justice. Great Post! The idea of that team is great. All of those characters have the potential to work fantastically together, and making them tackle problems closer to what we see in our world is interesting. Also, I liked watching Kamala quit the Avenger team she was on. I mean, really, who cares about THAT team anymore anyway? 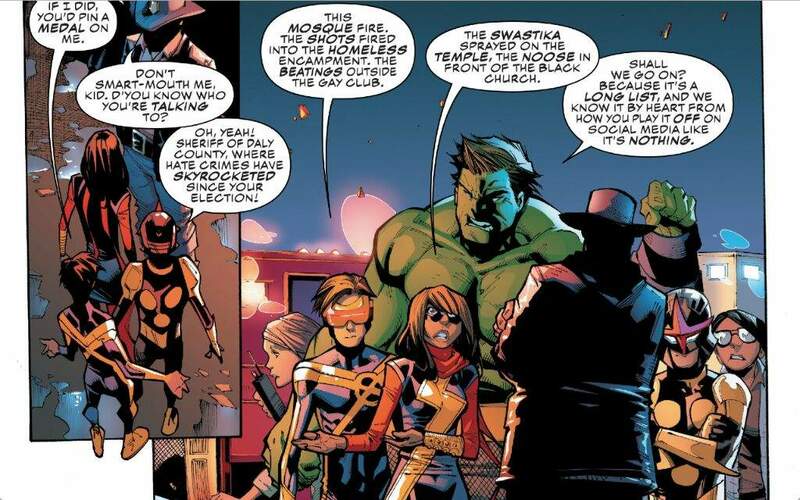 And Ms Marvel growing as a team leader, seconded by Cyclops really works. Those two have great chemistry. Cyke’s personality is well explored too. All the character moments we have are really nice. The problem is everything else. The villains are too cartoonishly evil, the opposing team is lame and should disappear, the Champions caring so much for their internet fame is disappointing as hell.